Mighty creatures at a Savannah watering hole! The circle of life is represented at the watering hole on the Savannah. As this 100-piece extra thick cardboard floor puzzle is being assembled, a dramatic African scene is revealed. 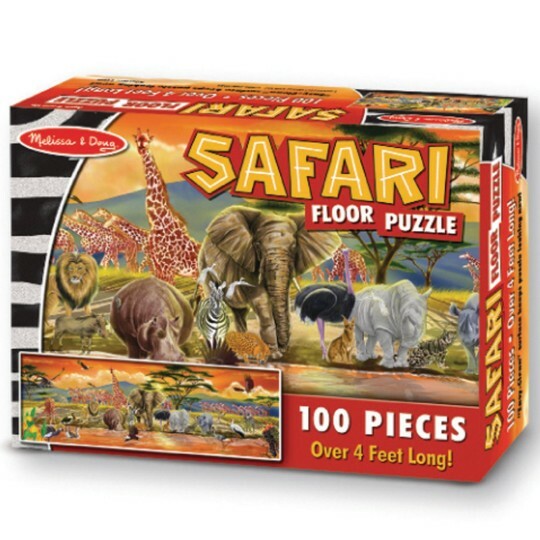 Over 4 feet long, this extra-thick puzzle features an easy-clean surface to keep it looking like new.